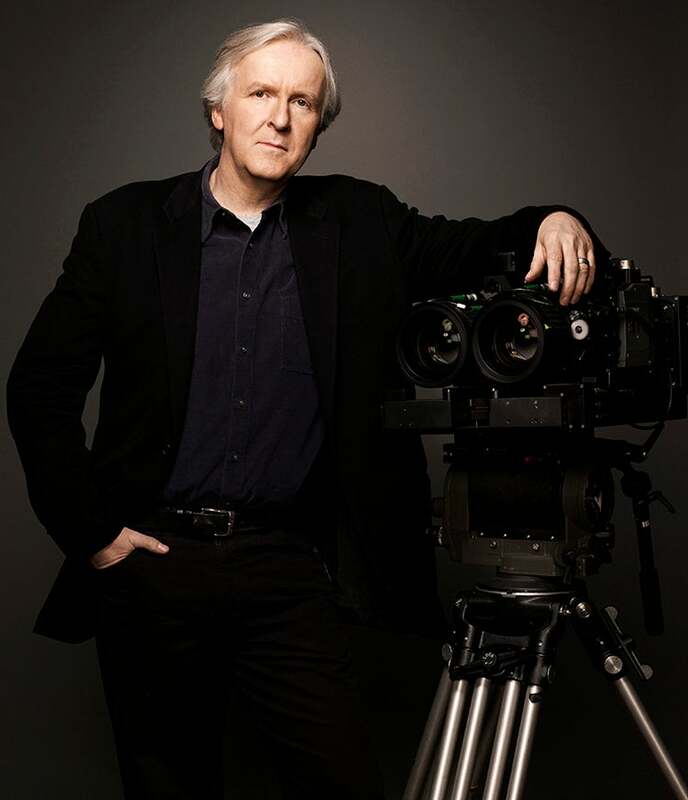 Born in Kapuskasing, Ontario, Canada, James Cameron grew up in the historic village of Chippawa, near Niagara Falls. In 1971, he moved to Brea, California where he studied physics at Fullerton Junior College while working as a machinist and, later, a truck driver. Cameron quit his trucking job in 1978 and raised money from local dentists to produce a 35mm short film. The visual effects in this film led to work on Roger Corman's BATTLE BEYOND THE STARS (1980). In 1983, Cameron wrote three scripts: RAMBO: FIRST BLOOD PART 2, ALIENS, and THE TERMINATOR. He directed THE TERMINATOR, starring Arnold Schwarzenegger, in 1984. Cameron subsequently directed ALIENS (1986), then wrote and directed THE ABYSS (1989). Following that he wrote, produced and directed TERMINATOR 2:JUDGMENT DAY (1991), TRUE LIES (1994), TITANIC (1997), and AVATAR (2009). He also co-wrote and produced POINT BREAK (1991) and STRANGE DAYS (1994), as well as produced SOLARIS (2003). His films have blazed new trails in visual effects and set numerous performance records both domestically and abroad. AVATAR currently holds both the domestic and worldwide box office records having grossed more than $2.7 billion at the global box office, beating the previous record holder, TITANIC, which held that record for 12 years. Cameron's films have also earned numerous nominations and awards from a variety of organizations, including TITANIC's record-setting 14 Academy Award nominations and 11 Oscars (the most any movie has received), including Cameron's three Oscars for Best Picture, Best Direction and Best Editing. AVATAR won the Golden Globes for Best Director and Best Picture. It was nominated for nine Academy Awards and won three. Cameron has also been an avid scuba diver since 1969. In 1995, Cameron made 12 manned-submersible dives to the Titanic in preparation for his feature film. The technical success of that expedition fueled his desire to bring the experience of deep ocean exploration to audiences around the world. He turned to documentary filmmaking and formed Earthship Productions to develop films about ocean exploration and conservation. His team's historic exploration of the inside of Titanic was the subject of Cameron's 3-D Imax film, GHOSTS OF THE ABYSS, which utilized the 3D camera system that he developed with Vince Pace. In May of 2002, Cameron guided his robotic cameras inside the wreck of Bismarck for the Discovery Channel documentary, JAMES CAMERON'S EXPEDITION: BISMARCK. Cameron's team then made four expeditions to deep hydrothermal vent sites in the Atlantic, Pacific and Sea of Cortez over a two-year period, which became the subject of ALIENS OF THE DEEP, also released in 3D IMAX. Most recently, Cameron has led seven deep ocean expeditions with more than 70 deep submersible dives, including 51 Mir dives to depths up to 16,000 feet. As an explorer, Cameron has been equally fascinated by outer as well as inner space. He is currently a co-investigator on the Mars Science Laboratory (MSL) Mastcam, which will be the first 3D motion imaging camera to operate on another planet, when it begins its exploration there in 2011. Cameron served on the NASA Advisory Council for three years. Cameron is also continuing to develop a number of ocean projects, and other environmentally themed documentaries.